The Summer School “European Governance”, based on the topics of governance, pluralism and trans-nationalisation aims to contribute to the development of research activities in the fields of democracy, EU citizenship and awareness, comparative European politics, international organisation, EU enlargement and human rights. Emphasis will be given to the study of practice of governance at national and European level. The main concern of the Summer School series concentrates on EU’s contribution to the international debate on governance, whose crux is the democratisation of decision-making process. We are attracted by the specificities of governance in a pan-European level but also the analysis of European Governance as a means of challenging the role of the state in the organisation of the international community. The Summer School, offering a multitude of teaching and learning methods, consisting of highly interactive activities (seminars, workshops, round tables, panels etc.) takes place every July at the island of Lesbos, on the premises of the University of the Aegean. Its main objective is to provide an in depth analysis of the meaning and applications of European governance. 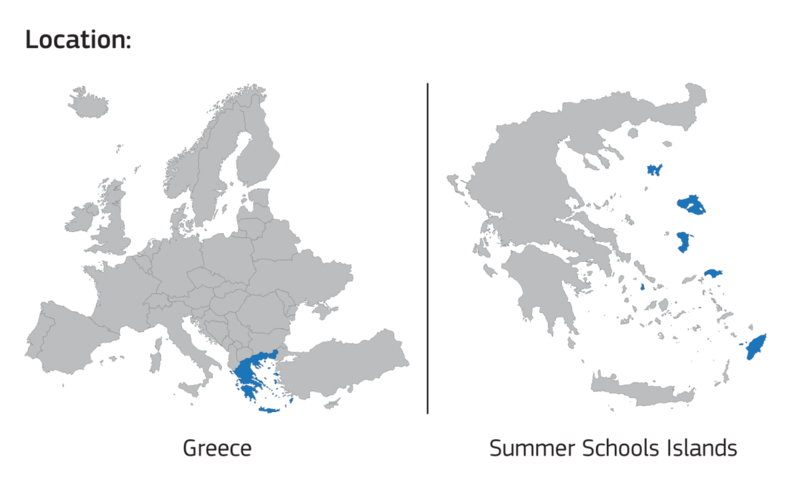 This year's Summer School titled “European Economic and Social Governance” will be held from 10 to 20 July 2017. The Summer School aims to help PhD students to better understand the debate on Governance, Pluralism and Trans-nationalisation in Europe, the effects of EU policies at the national level and the (dis-)functioning of the decision-making process. Enhancing the existing experience of Summer Schools on European Governance since 2013, means to produce knowledge and to study the functions of the European system at the national and the European level. Moreover, it strengthens the collaboration with the partner institutions by enriching its academic offer and by becoming an important social and academic event for all the doctoral students, on the island of Lesbos, as an opportunity for a new reflection for the idea of the European Integration (Treaty on European Union, Article 6). The group of collaborating professors of the GovUnet with excellent teaching and research experience in this area constitutes a safeguard for the success of the objectives of the Summer School.